#12– Le’Veon Bell (Pittsburgh Steelers ) He has a nice hesitation step, and skips like a rock on water. Bell’s 1,361 yards led the AFC and are the most ever recorded without a fumble. Le’Veon carried the Pittsburgh offense down the stretch with his versatility. His 83 catches glued the Steelers offense together. #11– Marshawn Lynch (Seattle Seahawks) Lynch has become the model power back of his generation. He sets the offensive tone for the defending world champions. When “Beast Mode” gets loose on long runs his team and fans get jolts of energy. Marshawn made more trips to the end zone (17) than any other player. #10– Russell Wilson (Seattle Seahawks) He visualizes himself having success on the field, and I keep seeing his positive results. Wilson has a knack for making timely plays. He reeks of intangibles and self security. To be 16th in overall rushing is impressive. His 7.2 yards per carry average was by far the best among the leading 40 rushers. #9– Ben Roethlisberger (Pittsburgh Steelers) The future Hall of Famer keeps carving teams up. Big Ben continues to shed defenders and is getting the ball out quicker. He set a Steelers record with 4,952 yards to go with 32 touchdowns to just 9 picks. In back to back victories over Baltimore and Indianapolis Ben put up a stunning 12 touchdowns, 862 yards, and zero interceptions. #8– Antonio Brown (Pittsburgh Steelers) The 5-10, 180 lb. Brown just torched pro football. His 129 catches are second most in league history and his 1,698 yards are sixth. Brown adjusts nicely to deep balls and makes nice concentration grabs. In the Division title game Antonio scored on a 71 yard punt return and a 63 yard TD catch with three minutes left to seal the deal for the Steelers. #7– Andrew Luck (Indianapolis Colts) Luck is full of heart, brains, and leg strength. He’s like the coolest nerd ever. Andrew won 11 games for the third straight year. Luck topped everyone with 40 touchdown passes and 10, 300 yard plus outings. Murray and Romo were both dominant in 2014. The offensive line and Dez Bryant were huge factors on the team. This hurt both of their chances to win the award. #6– Peyton Manning (Denver Broncos) The story line regarding Manning this season ended up being about his advanced age, the slippage of his velocity, and some late year bruises. All he did was win 12 games, and throw for 4,780 yards and 39 touchdowns. He’s still the games best conductor and can almost think the ball to guys. When it comes to the way Peyton is judged, he is a victim of his own success. #5– DeMarco Murray (Dallas Cowboys) Murray put on a show of endurance and toughness in 2014. The team was deliberate giving DeMarco the ball and he responded by having a record-breaking season. His 392 carries and a franchise high 1,845 yards were the identity of this years Dallas Cowboys. He added 12, 100 yard games and made the NFL All-Pro First Team. Murray playing five days after hand surgery was inspiration to his team blowing out the Colts to win the NFC Eastern crown. 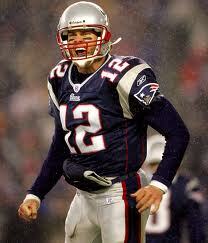 Brady is an amazing 160-47 as a regular season starter. #4– Tony Romo (Dallas Cowboys) Romo played his finest ball in 2014. He led the NFL in QBR, passer rating, completion percentage and was 12-3 as a starter. Tony was by far the best quarterback in second halfs, on the road, and in December. His 133.7 passer rating in December was the highest total in the history of the month. He’s now embarrassed a league that did not draft him. #2– J.J. WATT (Houston Texans) A defensive player on a non playoff team must crash this party. Watt is the best defensive lineman since Reggie White. It’s fair to say his current level is not just being the best pro player on D, but the best in the league every Sunday. J.J. is a grid iron warrior who can do it all. He finished the campaign with 20.5 sacks, 5 fumble recoveries and 5 touchdowns. 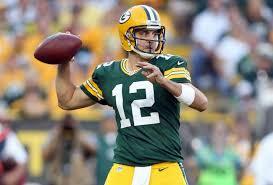 Rodgers is the best run to throw talent I’ve ever seen play quarterback. #1– Aaron Rodgers (Green Bay Packers) Rodgers reminds me that you want your pilot, surgeon, and QB to be cocky. His 38 touchdowns to 5 interceptions speaks for itself. The Packers finished undefeated at home behind his 25 TD’s and zero picks. Coming back from a calf injury in the season finale to beat Detroit for the NFC North title was a good look. Rodgers is the best skill position player in football. In the end, he was the easiest player to justify as my 2014 NFL MVP. Through telling of 2014’s MVP race. Well thought out complete takes. Going 12-1 is just icing on the cake or the proverbial bag o skittles after a beast mode T.D. 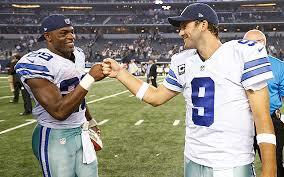 Jay, is even forgiven for being a Dallas homer placing Murray and Romo at #5 and #4. Why so forgiving? Because he was right. Interesting take from someone who knows the game. While I might not agree with your ordering, you make a strong enough case to support it. It’s good to see you sharing your passion for sports and knowledge of the game again.